Power BI desktop is the local version where you can design your reports but, in real-time you have to share your work (reports), and dashboards across your organization. 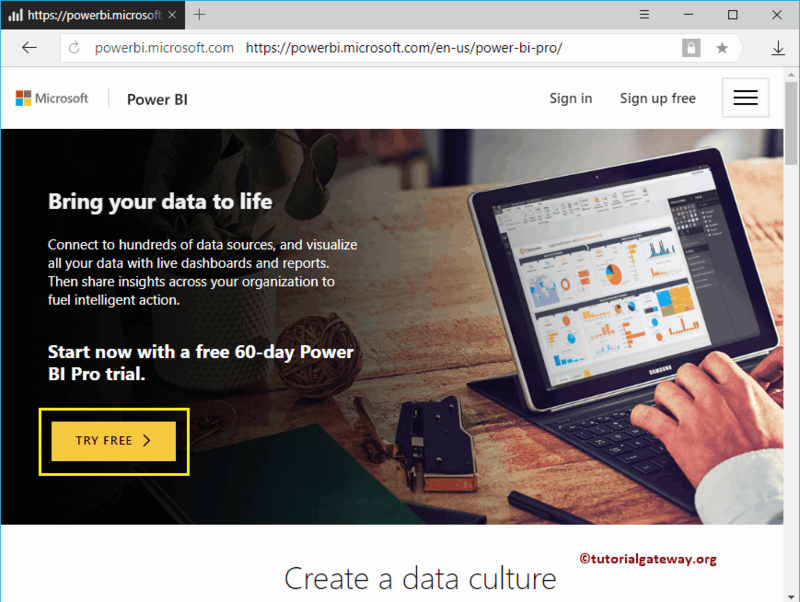 For this, you need a Premium licence however, you can try Power BI Pro 60 days trail. 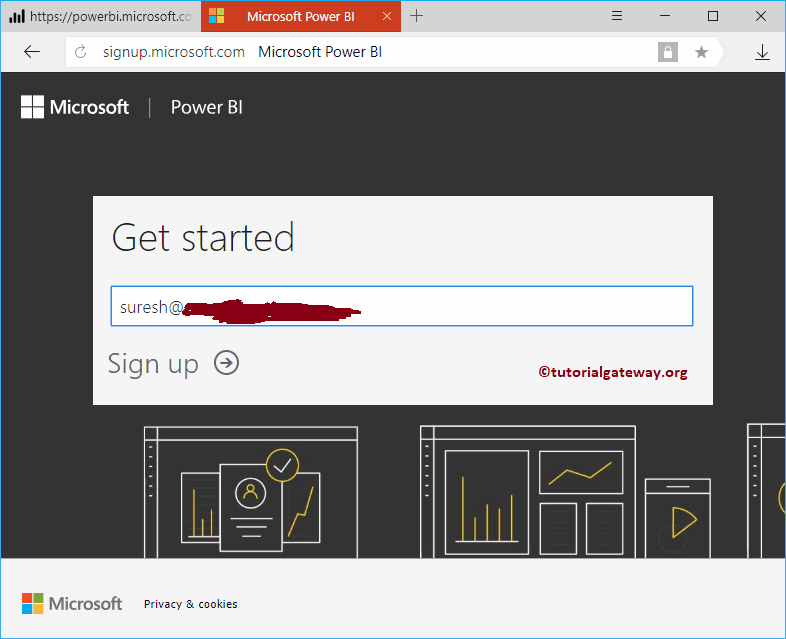 In this article we will show you, How to register to Power BI Service. 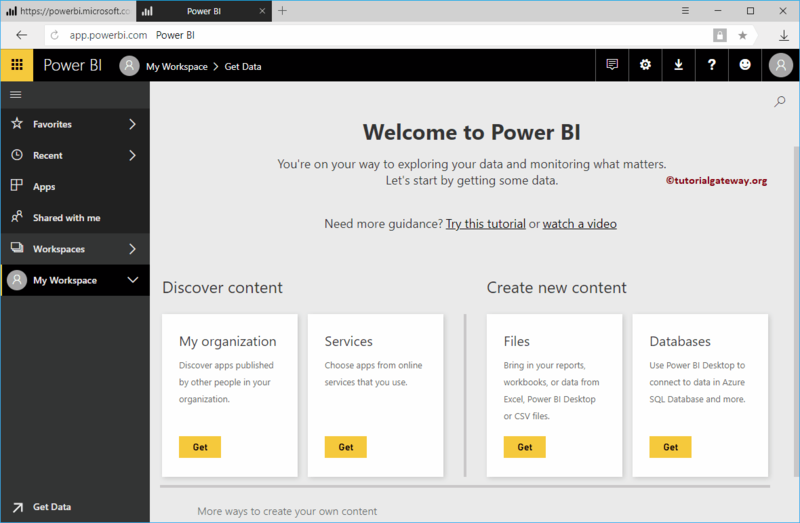 First, go to the official Microsoft Power BI website by clicking this link Power BI Pro. Next, click on the Try Free button to start your 60 days trail. Clicking the Try Free button will open Get Started window. Here, you have to provide the company email id. Remember, this will not accept your personal email like Gmail. 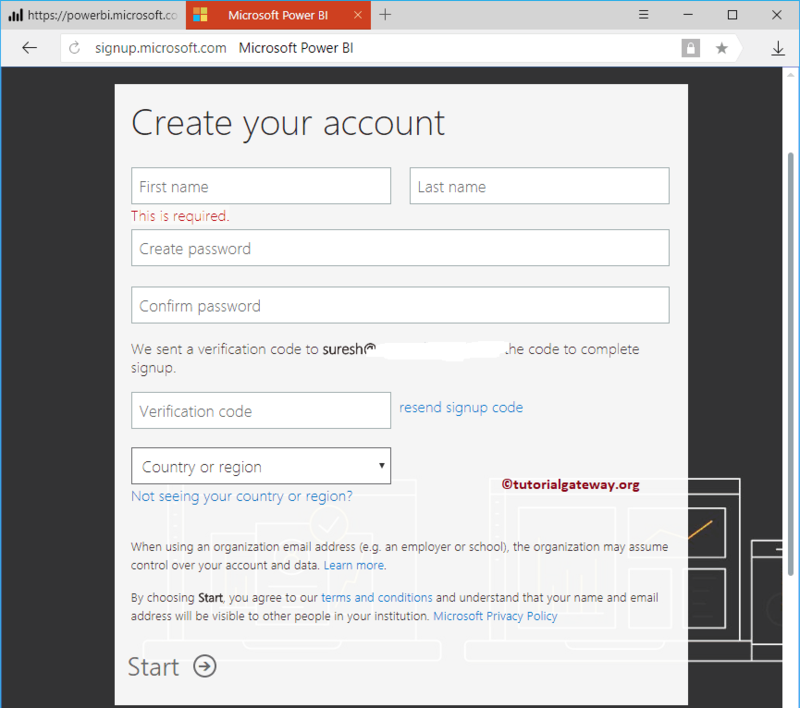 Once you click the Sing up button, Power BI will send a Verification code to the email that your provided. You have to use this verification code in the next screen. Next, fill these text boxes with your personal information. Now you can see the Power BI workspace.